St. Cloud, MN – The St. 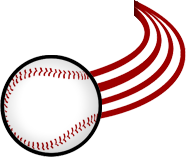 Cloud Rox defeated the Alexandria Blue Anchors Tuesday Night after a tremendous performance from the pitching staff, as three different Rox hurlers held the Blue Anchors to a single run in a 4-1 victory at Joe Faber Field. Tim Faix, Ben Lumsden and Kevin Burgee combined to give up seven hits and one run, and the Rox offense produced all four of their runs after the fifth inning to earn the victory, moving them to 13-9 on the season. Faix got his second start of the year for the Rox, going the first six innings and holding Alexandria to just one run, given up in the sixth inning, as he allowed four hits and struck out three batters to earn his first win of the year (1-0). Lumsden then came in for the next two innings and Burgee closed the door in the ninth, ending the game on a tailor-made 6-4-3 double play to give the Rox the win. The teams were both held scoreless through the first five innings as Faix and Alexandria starter Jason Zgardowski each pitched brilliantly in the starting role as both went six innings for their respective clubs. The Blue Anchors finally broke the 0-0 tie in the sixth inning as Ryan Busch doubled with two outs to score Ben Allen and give Alexandria the lead. The lead did not stay long though, as the Rox tallied two of their own in the bottom of the sixth to take their first lead of the game. Chris Paul began the inning with a walk and advanced to second on a single from Clay Ardeeser, before Boo Vazquez reached base on a fielder’s choice to put runners at the corner with two outs. Garrett McMullen then sent a hard-hit ground ball down the third base line and evaded the tag at first after an errant throw from the Alexandria third baseman to keep the inning alive and score Paul from third. Mitchell Kranson then followed up with a single to right field that brought Vazquez in and gave the Rox a 2-1 lead. St. Cloud tacked on another run in the seventh, when Seth Heck reached after being hit by a pitch and scored on a sacrifice fly to left field from Ardeeser to give the Rox a late-inning insurance run. They would tally one more in the eighth, as Charles Galiano connected on his first home run of the year to left field to bring the game to its final score, 4-1. Burgee then came on for the ninth and proceeded to end the game with a double play after allowing two hits, giving him his fourth save of the season in as many tries and keeping his ERA at 0.00 through 9.2 innings pitched in 2014. Kranson was the only St. Cloud batter to register multiple hits in the game, finishing 2-for-4 with the game-winning RBI in the sixth inning as he, Ardeeser and Galiano finished with an RBI apiece. Tonight’s box score can be found at http://northwoods.bbstats.pointstreak.com/boxscore.html?gameid=210314. 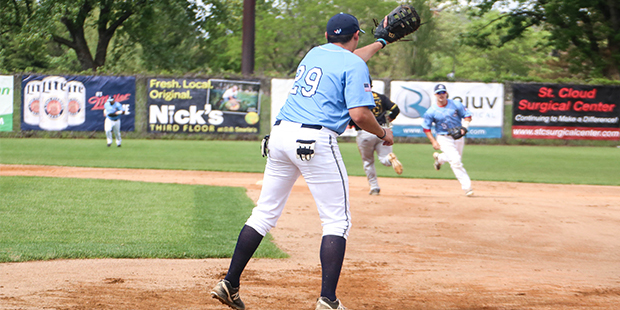 The Rox will next be in action tomorrow night at Joe Faber Field as they take on the Willmar Stingers at 7:05 p.m., before heading to Willmar Thursday night and to Eau Claire and Waterloo over the weekend. Tomorrow night is Community Spotlight Night, presented by the St. Cloud Times, and fans are encouraged to bring a non-perishable food item for the local food shelf and come support the local non-profit organizations.